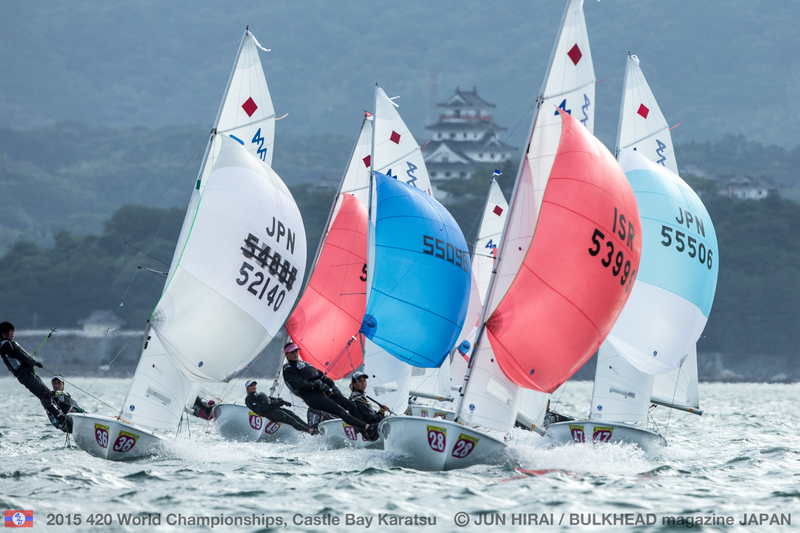 Stunning conditions out on the race track at Castle Bay Karatsu, with even a peep of blue sky to surprise the fleet after 5 days of rain and cloud. 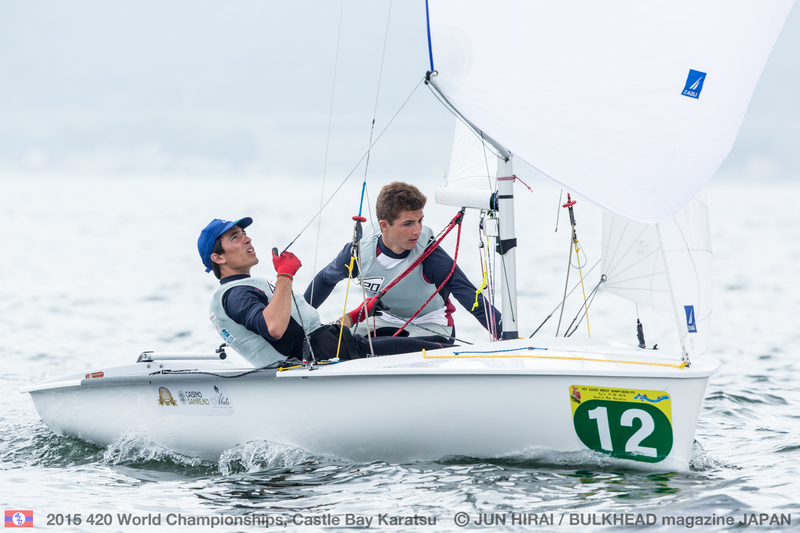 In the under-17 420 World Championship fleet, Edoardo Ferraro/Francesco Orlando (ITA) retain their pole position, with Spain’s Enrique Lujan/Pablo Lujan (ESP) shifting up a gear to second overall. On tiebreak with the Spanish in third are Aggelos Arvanitis/Theofanis Kanakaris (GRE). In the last race of the day, Veronica, Edoardo’s twin sister was hot on his heels, finishing in 5th to his 2nd place. 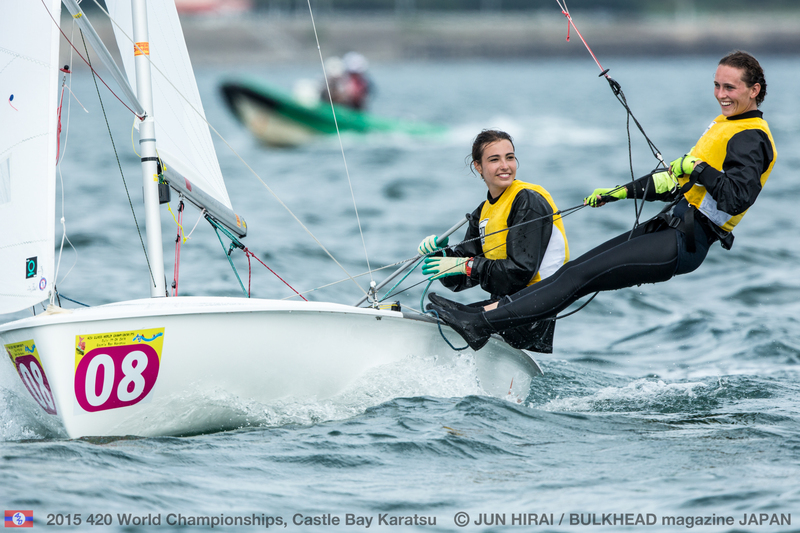 Racing her first ever 420 Worlds, with crew Giulia Ierardi, they are 10th overall and rank as the top placed girls team in the under-17 fleet. “This is our first year in the 420 and we are not very strong in these conditions so having our own fleet really helps our transition,” commented Veronica. Also making their way up the leaderboard are Spain’s Albert Torres/Antoni Massanet who claimed two wins in races 5 and 6. 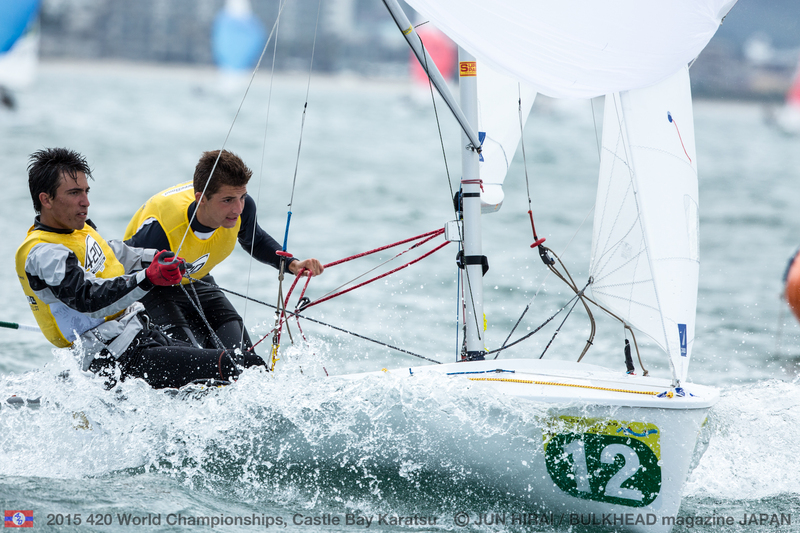 The best friends stepped up from the Optimist class a year ago, where Torres represented Spain at the Optimist Worlds and Europeans. “Our last race was a bit bad, as at the start we were on the left, but there was no pressure, so we crossed the first mark in 25th, but just worked really hard to get our 15th,” said Massanet. 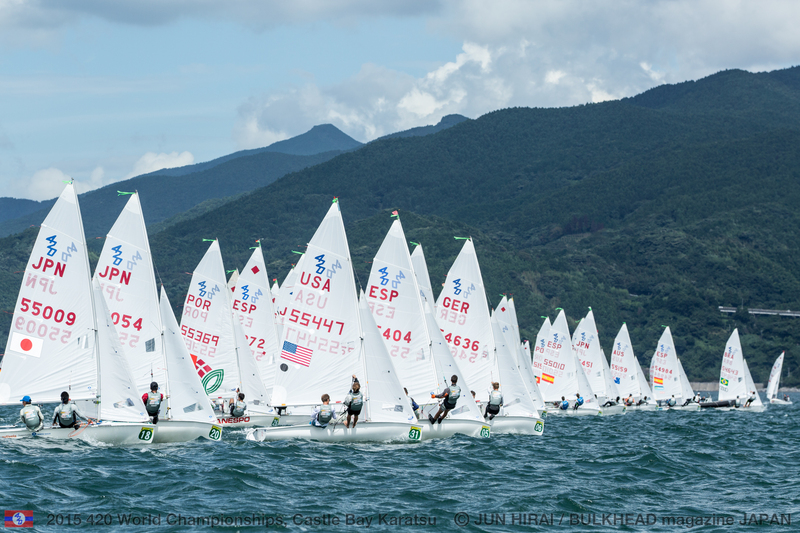 Marta Garrido/María Jesus Dávila (ESP) take over the lead in the 420 Ladies fleet from a consistently superior scorecard. 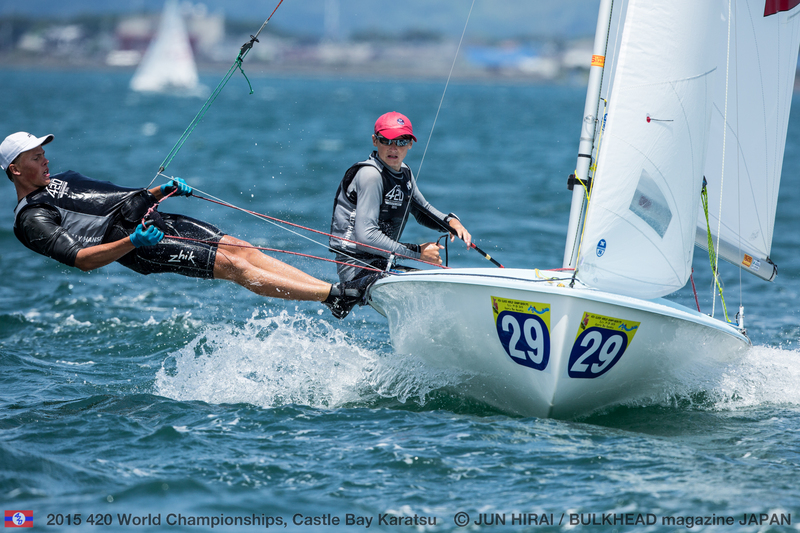 A win to Japan’s Misaki Tanaka/Sena Takano in the final race of the qualification series pushed them up to second overall, with overnight leaders, Charlotte Yven/Marine Riou (FRA), dropping to third. “We feel very happy and very proud of our work today,” said Garrido. Incredibly the pair are counting an all top three scoreline, racking up two wins and a 2nd place today, to earn a 20 point advantage over the Japanese. “We are calm, because we don’t have a bad race yet,” smiled Davila modestly. Sailing is very much a family affair, with her brother winning last year’s 420 Open World title, which Maria could soon be about to match. 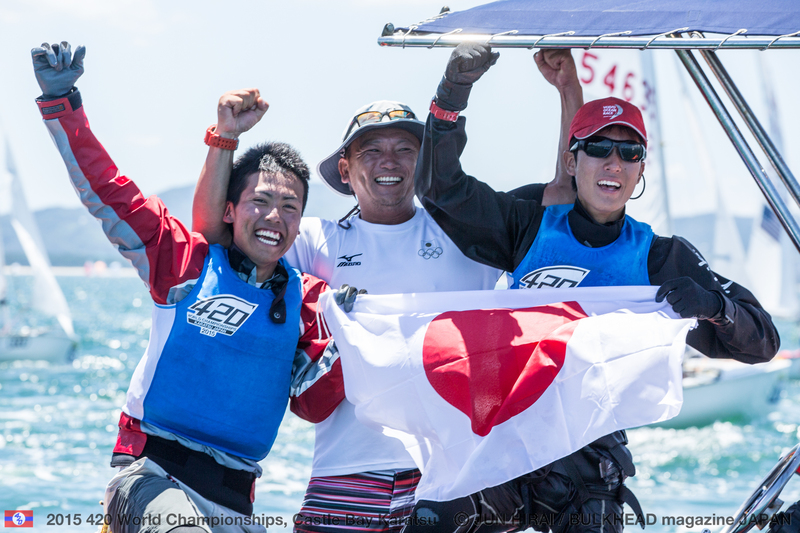 Second placed Tanaka/Takano are amongst the young stars of Japan’s youth sailing programme, along with Mano Udagawa/Yuri Saito who leapt up to 4th overall. A fourth place in the 420 class at the 2014 Asian Games has prepared them well, and with two previous 420 Ladies Worlds to their credit, a 25th in 2014 and 54th the year before, 2015 is all about a podium result. “Yesterday we made so many basic mistakes,” said Tanaka. “Last night we discussed what went wrong and today we just got better and better,” she said referring to their 1,4,3 scorecard. It is now all about defending their leaderboard position. 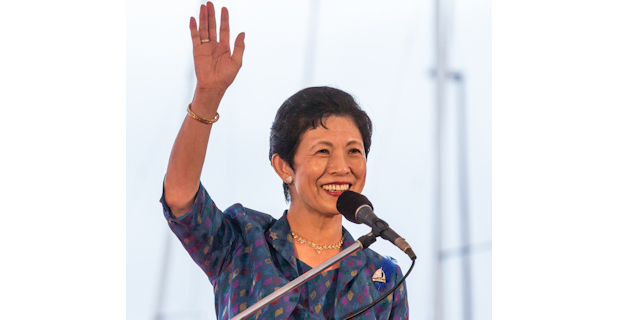 There is no shortage of inspiration for them to follow, including Yumiko Shige, the 420 Worlds Event Manager, who won Japan’s first ever Olympic sailing medal. Her silver medal glory in the 470 Class at the 1996 Olympics, with crew Alicia Kinoshita, was followed up by Kazuto Seki/Kenjiro Todoroki who claimed bronze at the 2004 Olympics in the 470 Men. 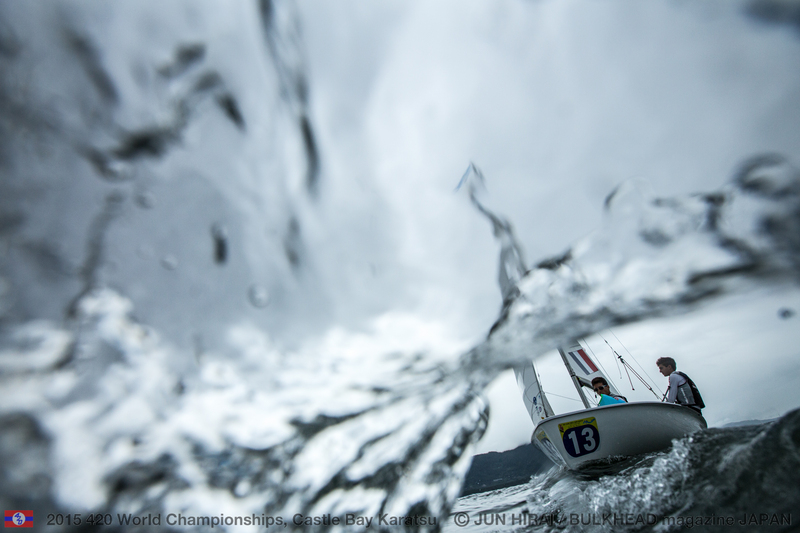 No wonder Tanaka has her heart set on Olympic gold in the 470 – and Tokyo 2020 is not too far away. “It is our dream,” she confirmed. Competing in their third and final 420 Worlds, Great Britain’s Sarah Norbury/Mari Davies have taken a slow and steady approach, moving up the leaderboard day by day. In 6th overall, they are well up with the series leaders. 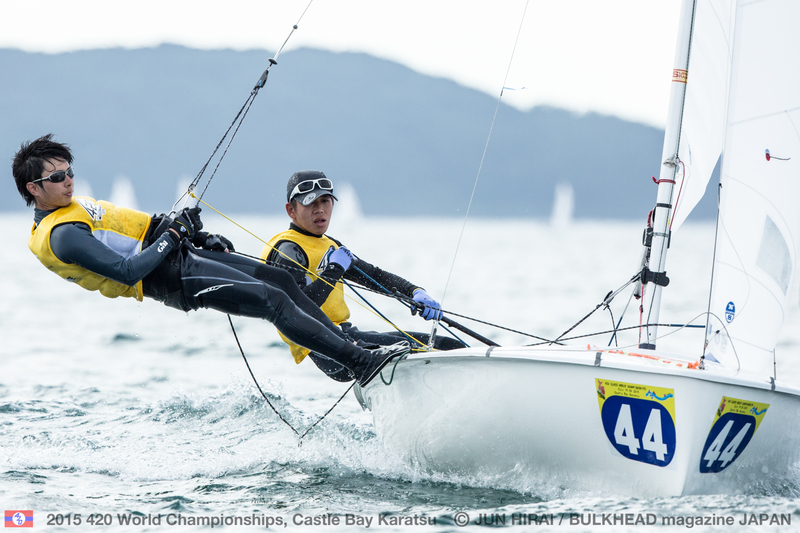 All change in the 420 Open leaderboard, as Japan’s Hiroaki Kato/Takuma Yoshinaga (JPN) claim the leaders’ yellow jerseys by one point over the USA’s Will Logue/Bram Brakman. The Americans were one of the biggest gaining teams today, leaping up the leaderboard from 14th at the start of the day to 2nd by the end. Yesterday’s leaders Nikolaos Brilakis/Giorgos Karadimas (GRE) drop to third. Logue/Brakman rose to the expectation of gold fleet racing, scoring 1,3,2 finishes for their best day of racing so far, to sit just 1 point off the series leaders. 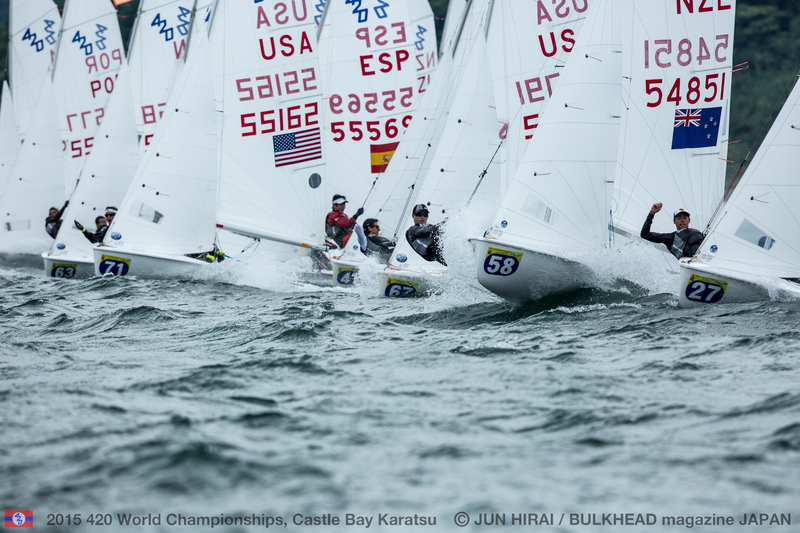 Sailing together for about 18 months, a 2nd at the Worlds marks the team’s top placing at an international event so far. “Today was a good day, nice breeze, although pretty shifty coming off the land,” said Brakman. The Asian push to the front of the fleet continued with Hong Kong’s Calum Gregor/Hugo Christensson, who couldn’t have knocked out a better day with results of 1,2,3. 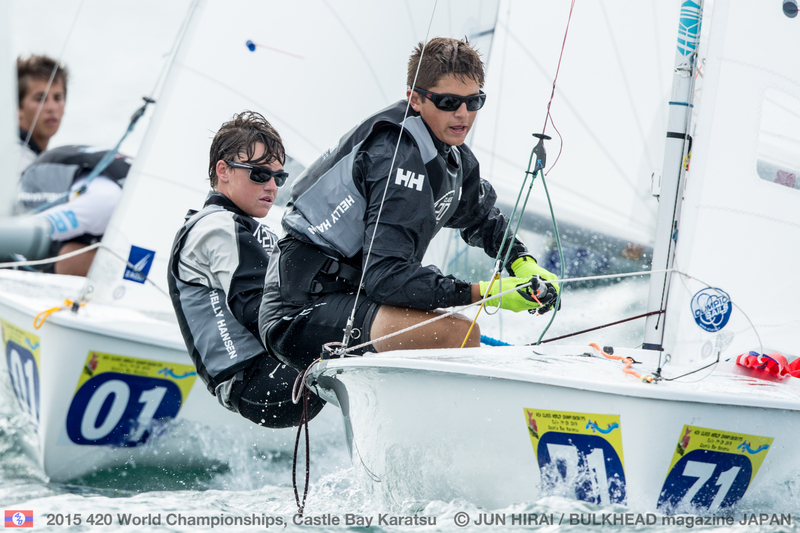 Their first 420 Worlds was last year, where they finished 14th, and they seemed quite surprised to find themselves in 4th overall after 8 races. 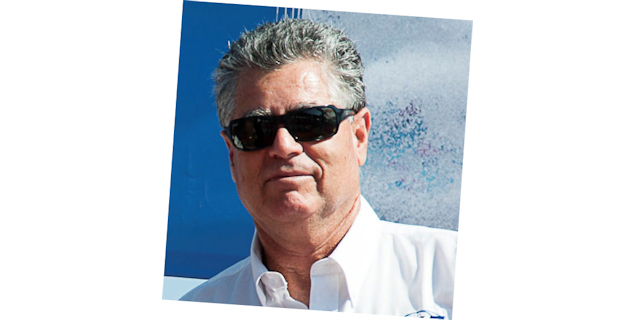 “I really enjoy the technical side of sailing the 420. There is so much you can do with the rig and it is really interesting and good fun,” explained Gregor. The first warning signal for 420 Ladies Gold and 420 Open Gold is scheduled at 1100 hours. The intended starting order will be Start 1: Ladies Gold – outer loop, Start 2: Open Gold – inner loop. The first warning signal for 420 U17, 420 Ladies Silver and 420 Open is scheduled at 1245 hours. The intended starting order will be Start 1: 420 U17– outer loop, Start 2: Ladies Silver – inner loop, Start 3: Open Silver - inner loop.